Today, we’ll hear a more personal share on gratitude from one of our Yogalife bloggers, Kasandra Bracken. We’re all about authenticity here, and we sure ain’t perfect—so read on for some real talk. This weekend, I was feeling some heavy FOMO (read: Fear Of Missing Out) for not going away for the long weekend, for not joining the rest of the world at the campgrounds in the May Long tradition. And though I had plenty of time to relax and kick back, I desperately felt the need to schedule my hours tightly, planning lots of activities so I could maximize my hours of fun and friends. I was fighting so hard to “relax” in an organized, concerted manner (which, if you’ve ever tried, is not relaxing at all) that I could hardly enjoy my time off. I had a serious attitude of lack. Try as I did to make up for it with busyness, whatever I did would not have been enough to please me—I had already subconsciously decided, in my mind, that I was missing out on all the fun I could have been having by not going away for the weekend. Why, yes. I had quite literally just posted on this exact same situation. I was feeling miserable, and failing miserably at putting my own advice into practice. But that’s just it—gratitude is a PRACTICE. Just like yoga or meditation. You may not always wake up and feel excited to get on our mat, just as in the same way you may not naturally look around you and feel showered in blessings with each moment. But gratitude is a choice. After feeling just a little more self-pity (hey, habits take time to change! ), I took a second and turned my eyes to the window. The sun was shining, I had nothing that I had to do, and here was my partner in front of me, doling out advice and hoping only to spend some time together. There was absolutely nothing wrong in that exact moment—in fact, I had plenty to be thankful for. Have you ever heard the phrase “attitude of gratitude”? It really is just that—a mindset, a way of thinking. Gratitude doesn’t mean you need to buy a new shirt, plan an extravagant vacation, or go to a yoga class so that you have something to be thankful for (although you can certainly be thankful for those things! )—gratitude simply means making the choice to take a look around and genuinely appreciate what’s already there. No matter how much or what we have, we can always feel in a state of lack if we are constantly focusing on our needs and wants. Rather than feeling lack, or that you need something else to make any moment complete, accept what already is with gratitude. And maybe, with this outlook, you’ll be better equipped to relax and enjoy exactly where you are at right now. Shifting your perception from “lack” to “abundance” is a powerful way to soften yourself into the present—just in the way I was eventually able to accept and enjoy my long weekend for what it was. Look around, or close your eyes and think of five things you can be grateful for, right now. Often even this subtle exercise can make a significant shift in your outlook. Give it a try! 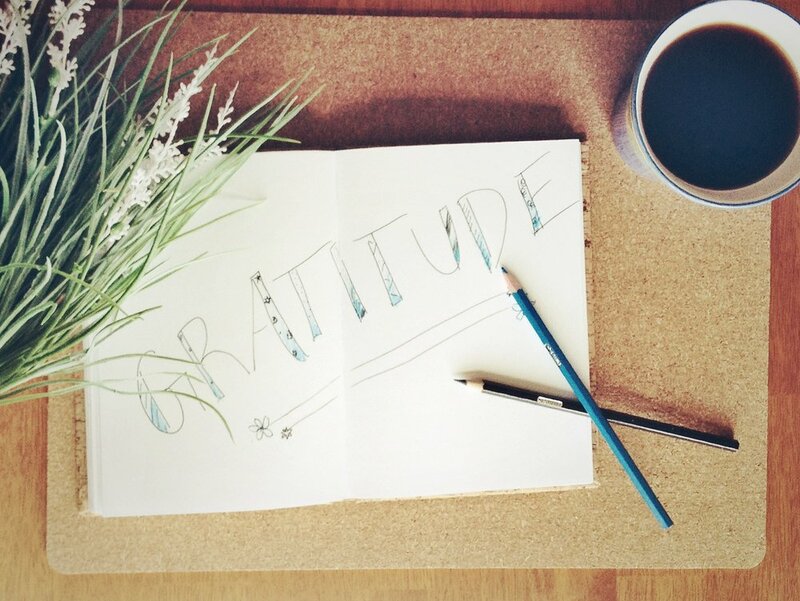 What makes it easy for you to feel gratitude? When is it tough? Let us know by sharing on our Facebook, Twitter, or Instagram!